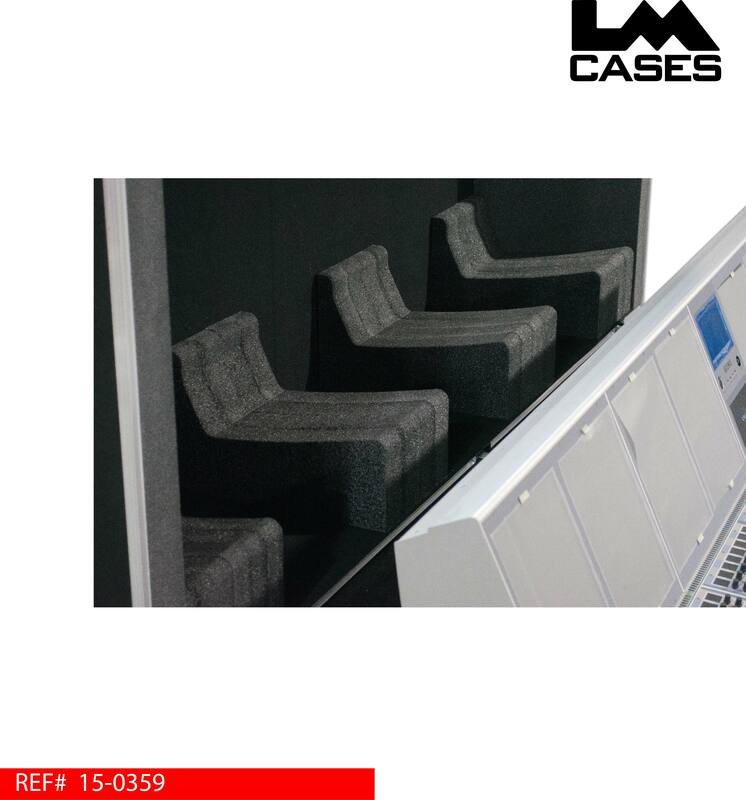 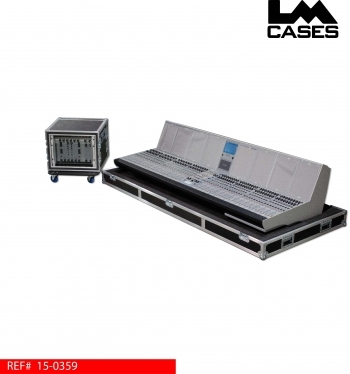 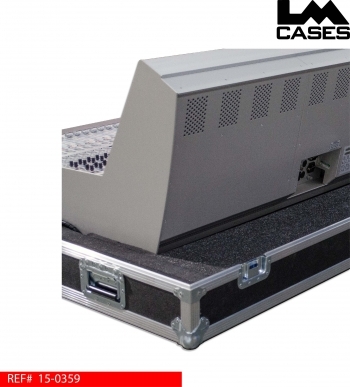 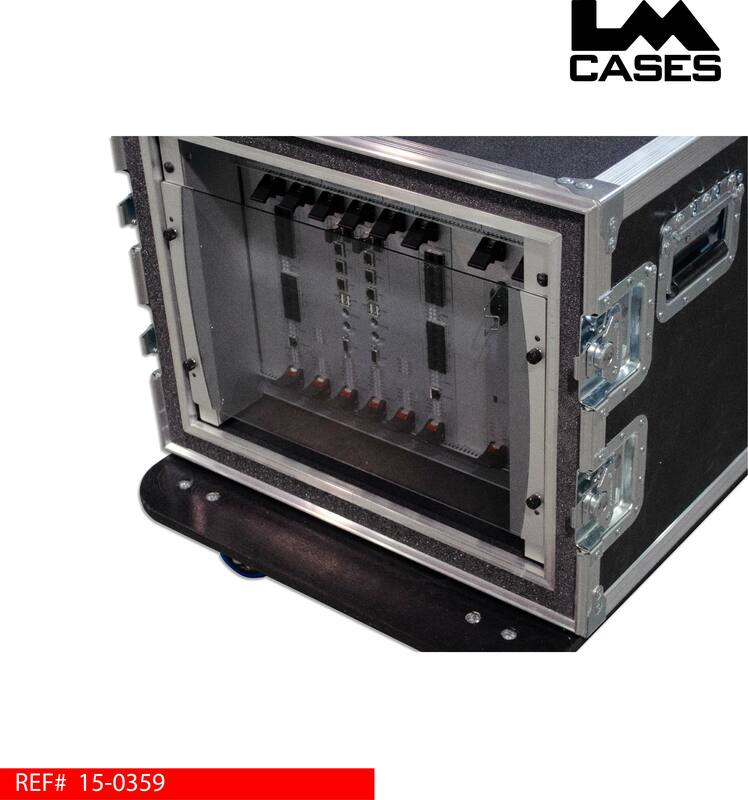 These cases were designed for Game Creek Video for their Calrec Artemis Mix System. 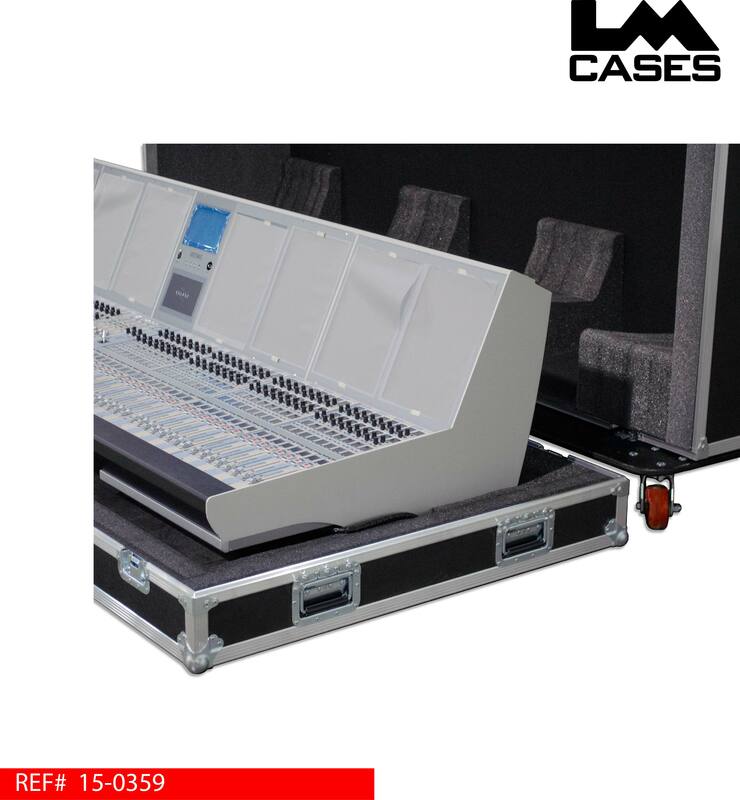 The console case features a custom foam lined interior that contours the console and provides extra support for the meter bridge display. 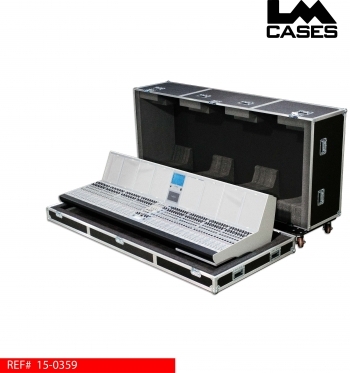 The design allows the console to sit in the tray of the case during use without blocking any vents and still keeping the function of the integrated keyboard tray. 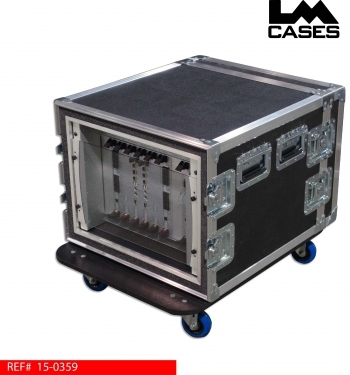 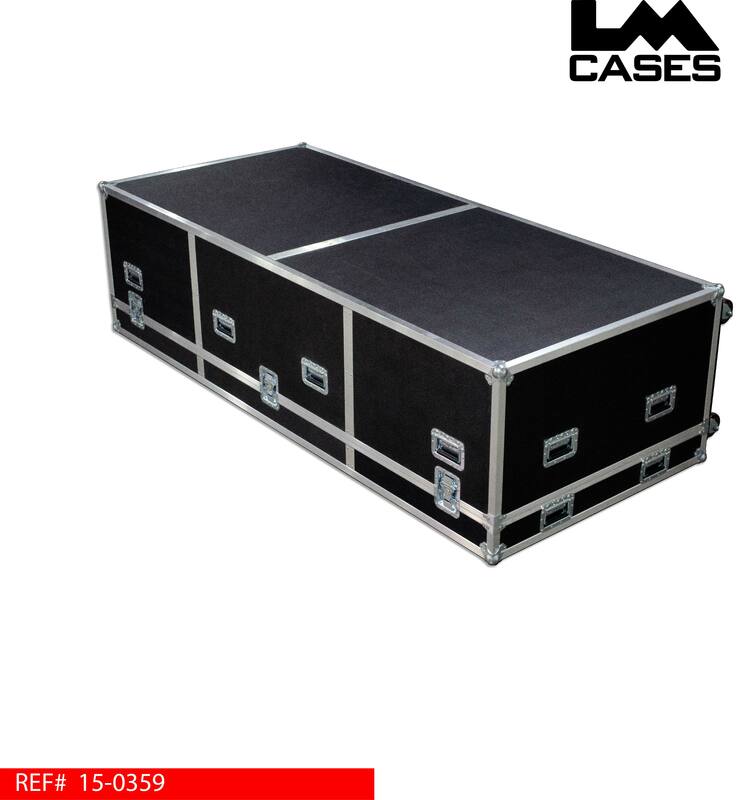 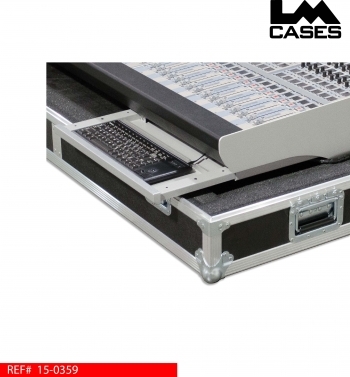 The case is built out of 1/2" plywood laminated with black ABS plastic and features 12 deep recessed handles and 4" x 2" Colson casters with a full 3/4" Birch caster pad. 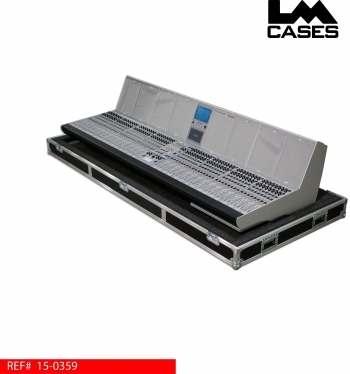 The mix engine is held in a shock mounted 8RU rack. The inner rack is surrounded with 1" foam and is designed to be fully isolated from the exterior case no matter what direction the rack is orientated. 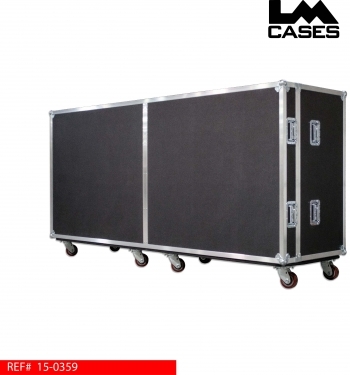 The exterior case features 4 deep recessed handles and 4" Colson casters. Special thanks to Game Creek Video!